Dial a Wash Isle of Wight is owned by Mark Whitworth. 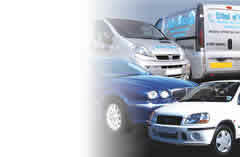 Mark brings over 20 years of experience in the car valeting industry in North London and Essex. He is proud to have built a prestigious client profile boasting amongst his clients Sir Alan Sugar and many premier footballers. Since opening in the Isle of Wight, he has built a loyal customer base. Hello my name is Imi. I am perfectly positioned to be able to offer the Dial a Wash services throughout the area. We can clean virtually anything from your prized sports car to your caravan, boat or motorhome, just try us for the best personal cleaning and Valeting service at your own home or company car park. I have vast experience and look forward to offering you a service second to none. Ask me about our customer loyalty scheme and for Christmas or Birthdays why not buy a Valet for your loved one!